What is the best way to keep deer out of the garden? It is important to know that according to the California Fish and Game Code, traps and poisons of any kind are illegal and cannot be used. Deterrents such as fences, barriers, frightening devices, and various repellents are recommended. The most effective and reliable way to protect gardens, orchards, and ornamental plantings from deer is to build a fence. 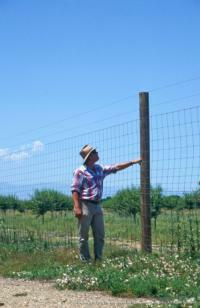 The type and height of the fence depend on various factors. 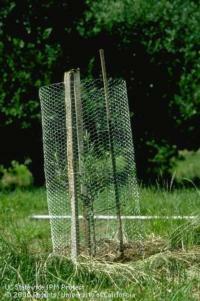 Read more about the recommended types of fencing.